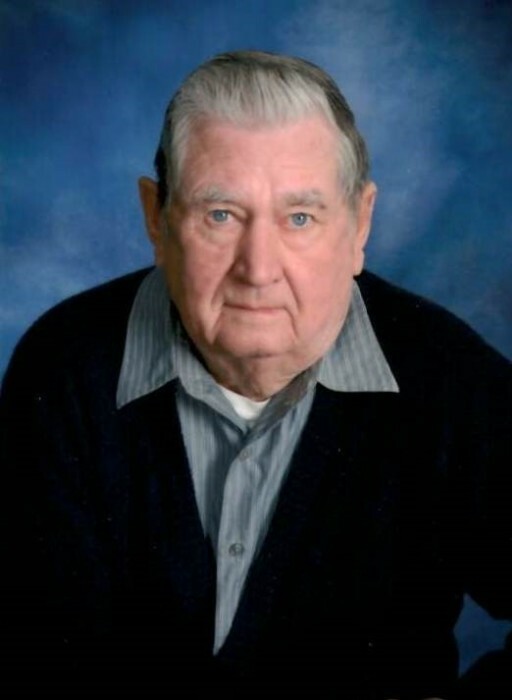 James P. Jurek Jr., age 89, of Silver Lake passed away Tuesday, August 7th, 2018 at The Good Samaritan Society of Howard Lake. He was born on July 17, 1929 in Appleton, Minnesota. Jimmy honorably served his Country in the United States Army in Germany. Jimmy was employed for thirty-seven years as Police Chief of Silver Lake. He also started working at The Silver Lake Funeral Home and Furniture Store owned by Frank Nuwash when he was fourteen years old. He later worked at the funeral home for Fred “Fritz” Maresh, Bruce Maresh and Kevin Chilson. Jimmy also belonged for sixty years to both Knights of Columbus Council #1841 and American Legion Post #141. He was a charter member of The Silver Lake Ambulance Service and served many years on The Silver Lake Fire Department. He enjoyed camping, word search puzzles and was extremely proud of his family. Survived by loving children: Douglas (Lynn) Jurek of Victoria, Susan (Gerald ) Vasek of Silver Lake and Michael (Chasidey) Jurek of Northwood, North Dakota; grandchildren: Aaron (Brenda) Jurek, Justin (Nicole) Jurek, EmmaLee Jurek and Lauren Jurek; great grandchildren: Chloe Jurek, Adalie Jurek and Delaney Jurek; a brother: Ernie (Mary Ann) Jurek of Silver Lake; step grandchildren: Jennifer Schuette, Jill Vasek and Mike Vasek; step great grandchildren: Harper Schuette and William Vasek; many other relatives and friends. In addition to his wife, he was preceded in death by his parents James and Barbara (Rudnik) Jurek Sr.
A Mass of Christian Burial for James P. Jurek Jr. will be held on Friday, August 10th, 2018 at 11:00 A.M. at Holy Family Catholic Church in Silver Lake. Father Michael Doyle will be the Celebrant. Interment with military honors will follow at Holy Family Cemetery. A visitation will be held on Thursday, August 9th, 2018 from 4-7 P.M. at The Maresh Funeral Home in Silver Lake. Further visitation will be held at the funeral home on Friday, August 10th from 9:30-10:30 A.M.
Casket Bearers will be Pete Swartzer, Jeff Swartzer, Keith Schade, Brad Jurek, Dale Kosek and Jim Mahon.